‘Like’ us on Facebook and we’ll like you in return. 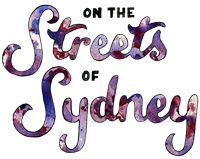 To celebrate the launch of On The Streets Of Sydney, we’re offering one person the chance to win a $50 voucher with amazing accessories store Alegorie. Visit the store here to check out the range of great labels Alegorie has to offer. To avoid missing out on this fantastic prize, be sure to ‘like’ us and leave a comment on our Facebook page before 5pm on Friday, the 10th of December. I left a comment and liked the facebook page, but I might be too late. It’s 6:19am in NYC and like, 10pm in Sydney. Do I still count?